As of July 25, New York City is reportedly no longer authorized to hand out $50 tickets to motorists caught by speed cameras in the city. While cameras in 20 school zones will continue to ticket until August under a different law, the others cannot operate. The cameras pulled in millions in net revenue for the city between 2014 and 2016 alone, but also operated in secrecy, as the local government refused to disclose the camera locations. 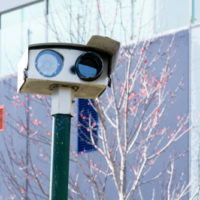 In doing so, they drew criticism from those who argue that speed cameras can be a tool for safety, but must be used transparently and appropriately. This also prompted an investigation by radio station WNYC into the cameras. According to reporting, the cameras will be phased out because Democratic State Senator Simcha Felder would not allow a bill reauthorizing the cameras to get through the committee unless he received assistance with separate legislation that would place armed guards in New York City schools. Just between 2014 and 2016, the city issued close to 3 million summonses to drivers supposedly speeding, collecting more than $122 million in fines from cameras placed in school zones alone. A lawsuit filed in February of this year alleged that millions of tickets issued by the cameras were invalid due to a technical error. According to the complaint, summons notifications mailed to drivers failed to include a “certificate charging liability,” which is required by state law. The purpose of the certificate is to build some form of justice into the system by ensuring that a technician first reviewed the images and found that there were no problems before the summons was sent. In 2017, a similar lawsuit was brought against the city alleging that approximately half a million tickets were invalid because the Department of Finance had changed the parking ticket rules, but the old violation codes were still listed on the tickets issued. If you live in New York and received a speeding ticket, the consequences will depend upon how fast you were going. In addition, points can be placed on driver’s license, which you could lose once you accrue are certain number of points. New York City traffic offenses attorney Phillip J. Murphy has been representing clients in Bergen County and surrounding areas for more than 25 years, defending them against speeding tickets. Contact us today to find out how we can help.